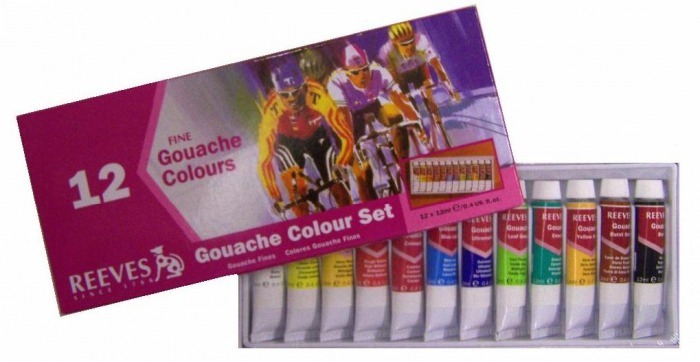 12 quality 12ml gouache colours. 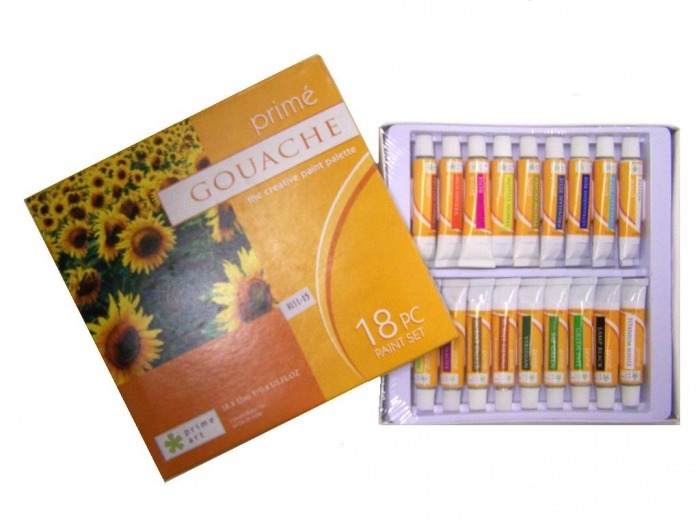 18 quality 12ml gouache colours. 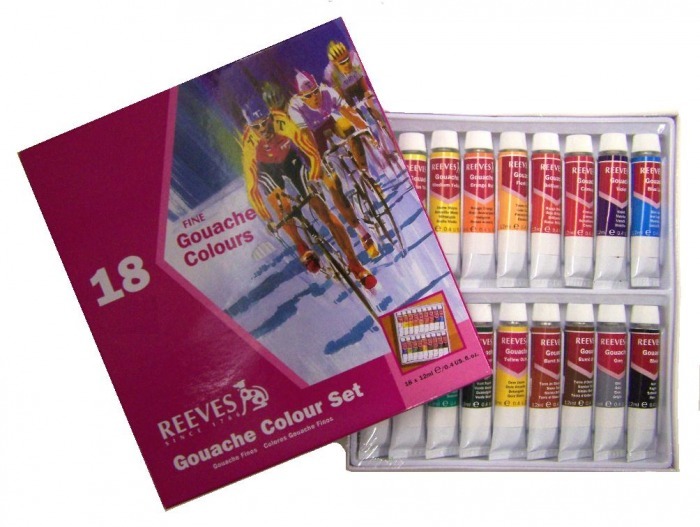 Reeves Fine Gouache Colours are water based opaque colours which give flat, smooth washes. Traditionally by designers and graphic artists to create posters and other advertising materials, they have become very popular with artists due to their strong, opaque colours and versatility. For a basic introduaction to working with gouache click here or click here to download the gouache guide. Winsor & Newton artists' quality gouche is an extra fine, professional range of opaque water colours, mainly used by designers, illustrators and commercial artists to create vibrant illustrations in solid colour. 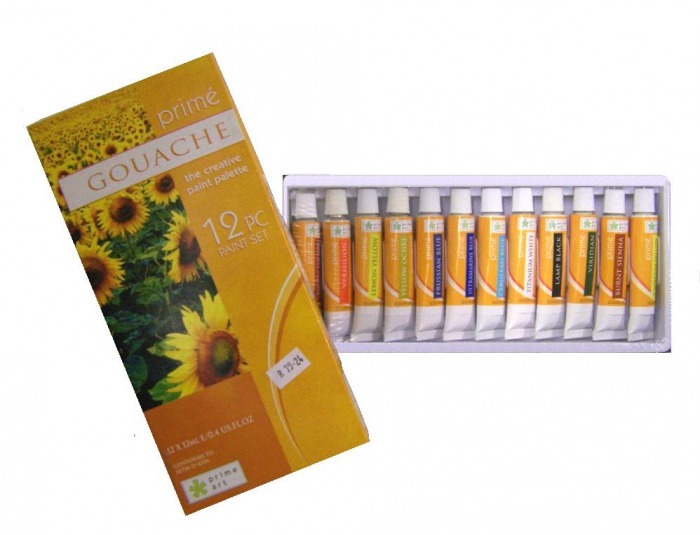 Gouache is also widely used in fine art as an opaque water colour. Today the Designers Gouache range benefits from significant developments in technology and is smoother, flatter, more opaque and more brilliant than ever before. They are sold loose varying in price according to the series. Sold loose, the price varying according to the series. For more information, click here. To view the colour chart click here.